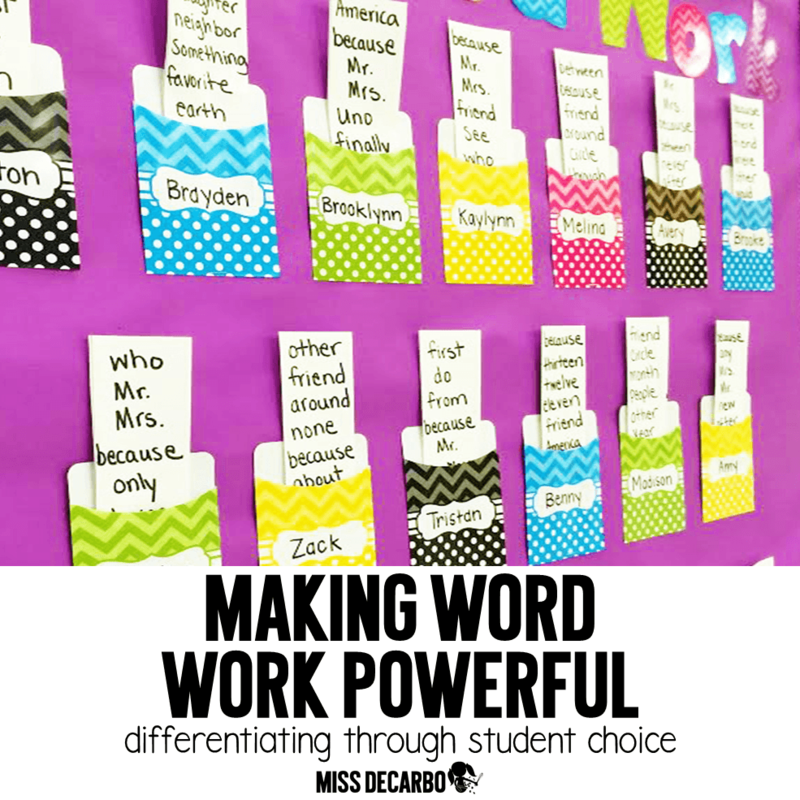 In this post, I’m going to share how I differentiated word work during our Daily 5 time! Because my district uses Fundations on a daily basis for spelling and phonics, my students use their Daily 5 Word Work time to practice their sight words. As you know, in first grade, our students are ALL over the place in their reading levels. The same goes for their sight word identification and their ability to successfully spell these words. 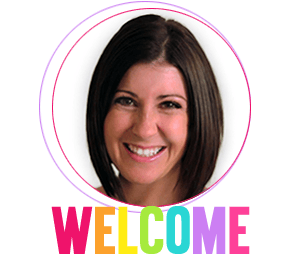 I have a few kids who have been mastering the second grade sight word list, and some little babies who are still working on spelling words on the kindergarten list. 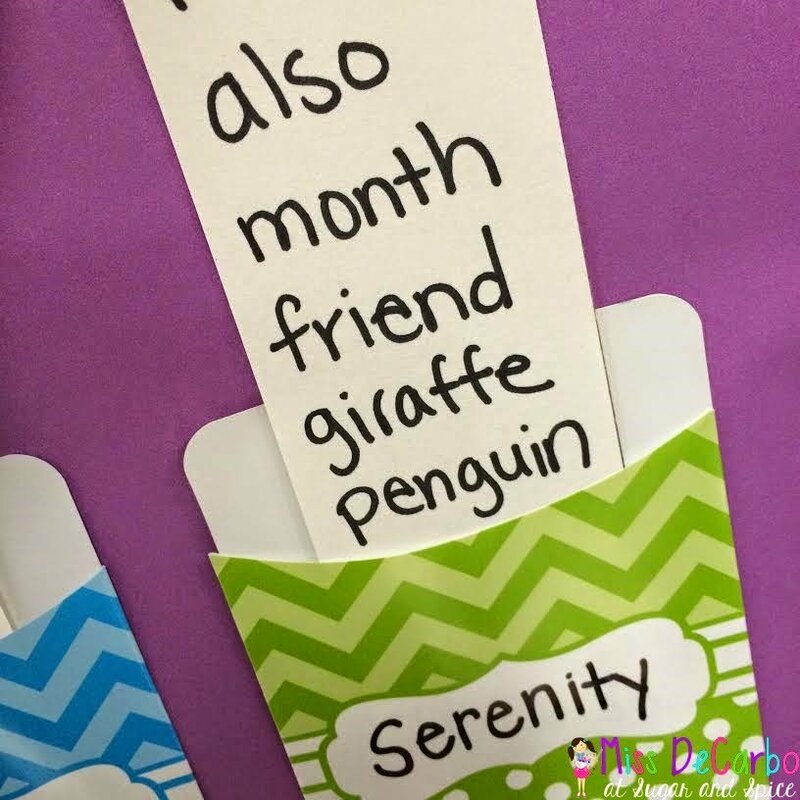 I use to put the SAME word list in my word work bins each week. 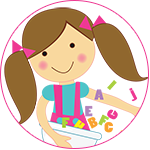 The kids would grab a word work bin and use the word list inside to practice their words. The words on the list were current words and some review words from our units in Fundations. 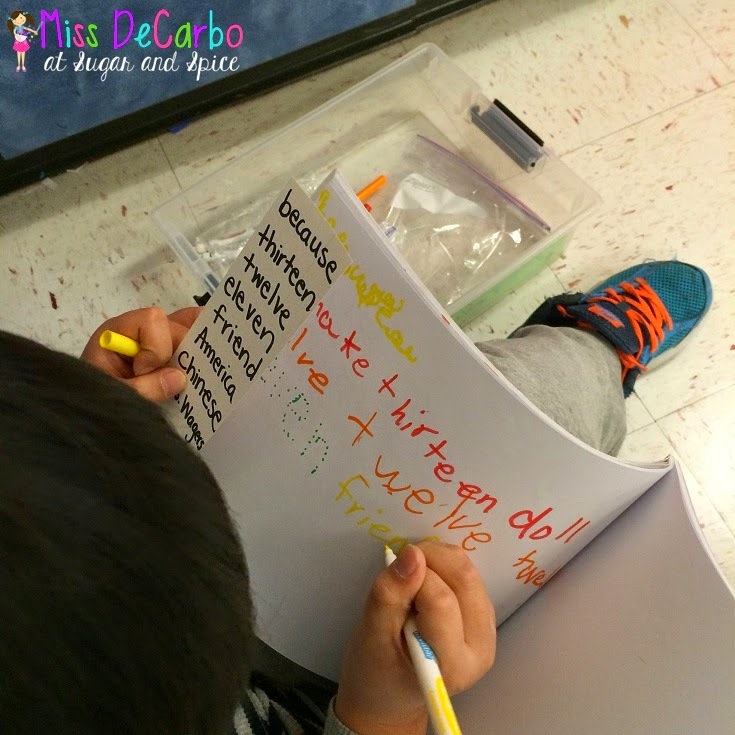 You can read all about how I organize my word work by clicking HERE. I’m sure you already see the problem with these word lists- many in my top group had already mastered those words. Some of the kids in my lowest group still couldn’t READ the whole word list, let alone work on spelling them. The solution? Our My Word Work board! (The border, library pockets, and letters on this board are from my favorite friends at Teacher Created Resources!) I LOVE how it all turned out! Their products perfectly coordinate with one another and it was fun to mix-and-match the decor items! To kick off this word work routine, I met with each child individually and together, we worked to decide on 8 sight words that they really wanted to practice and get better at spelling. (Yes, this initially took a little time but after this initial meeting, my students will choose and write their own word lists!) It was so neat to hear them say things like, “I always forget how to spell “because” and I write it ALL the time!” or, as one little firstie pointed to the list of words said, “I can read this word but I can’t spell it yet.” I adored this whole process and my kids were SO excited to have a word work list all to themselves. After they made their list, they slipped it into their library pocket on the board. Now, when they choose to go to word work, they grab a word work bin and they grab their list from the board to practice. When the bell goes off for our next small group round, they clean up and put their list back into their library pocket. My students have taken on more responsibility for their sight words since we started our My Word Work board. In reading groups now, I’ll hear, “Hey! That word is on my list!” and I’m starting to see these words transfer into their writing more. This makes perfect sense, because they have now attached their personal touch to these words and the words are suddenly THEIR words. My top kids are challenging themselves and every child is practicing sight words that are on his or her level. And that makes me a very happy teacher! 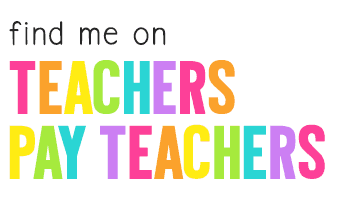 Pin the image below so that you can share this blog post with your teacher friends! Thank you so much letting me share our new word work board with you! I hope you found it helpful! Remember, differentiating student learning doesn’t have to be complicated, “fluffy,” or over-the-top. It just has to be meaningful! 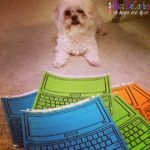 Type and Write Laptop Word Work Freebie! 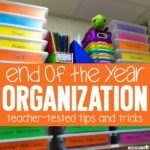 End of the Year Organization: Tips & Tricks! 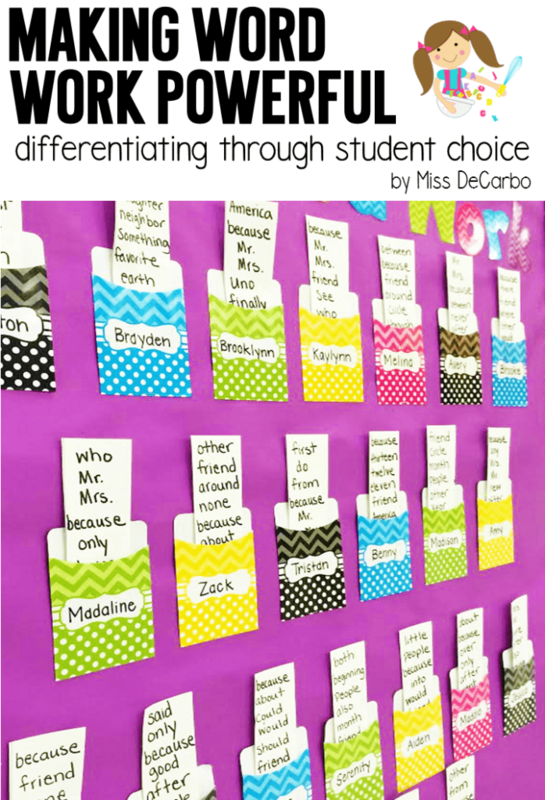 « Differentiated Instruction for Making Inferences! Oh my goodness…LOVE this post!!! This is great! 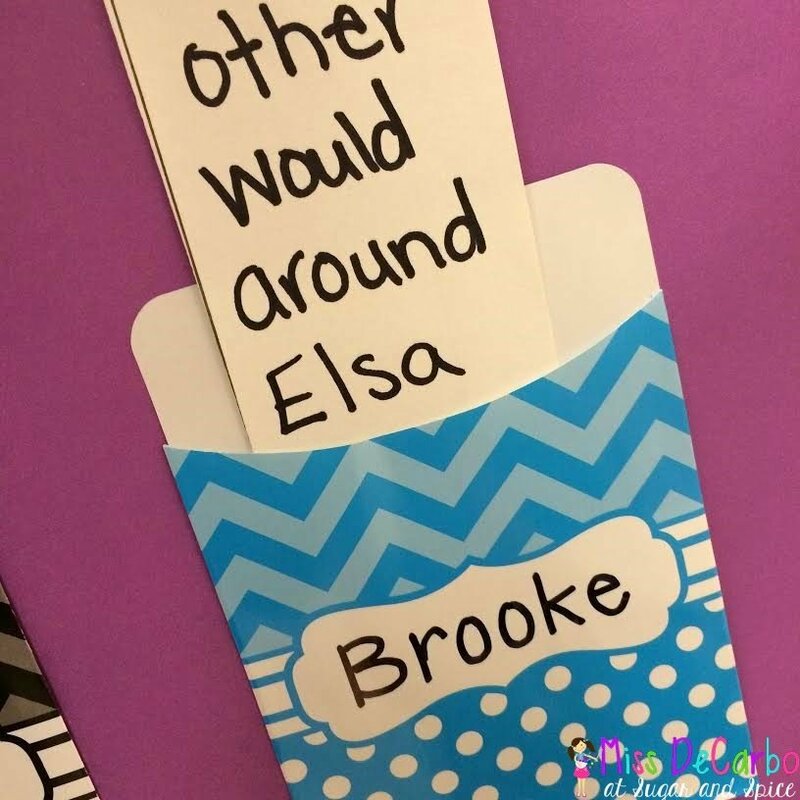 I am trying this as well this year and I love the idea of letting them choose some of their own words as well! Wow, this is such a great idea! I absolutely love this idea! It makes so much sense and it puts the learning back in the learner's hands! Fabulous!! Thank you so much for sharing this idea!!! So simple yet so effective!! I LOVE it!! You are amazing! What a great idea! I'm thinking of adapting this for some of my speech goals 🙂 Thanks! I've been thinking for a while how to get my kiddos to own their spelling! They don't seem to transfer our spelling practice to their own writing. Thanks so much for your post! I'm taking this idea to my 3rd grade classroom. 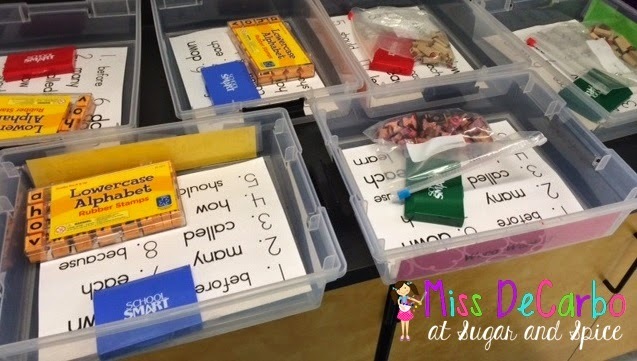 What a great way to release responsibility to your students! I'm struggling with that this year because so many of my students still need a lot of teacher support. I'm inspired by this idea! Thanks for your post! WOW what an amazing post!! Guess what I am going to start doing this week! Thanks for the inspiration! Always full of great ideas! Loved the board your created to hold their lists and really loved how the kids came up with their own words. Brilliant! I love this idea. What kind of journal do your students use for word work? This is awesome!! Thank you for sharing. I especially love the idea of letting them choose two words. Where do students get their new words when they are ready to move on? 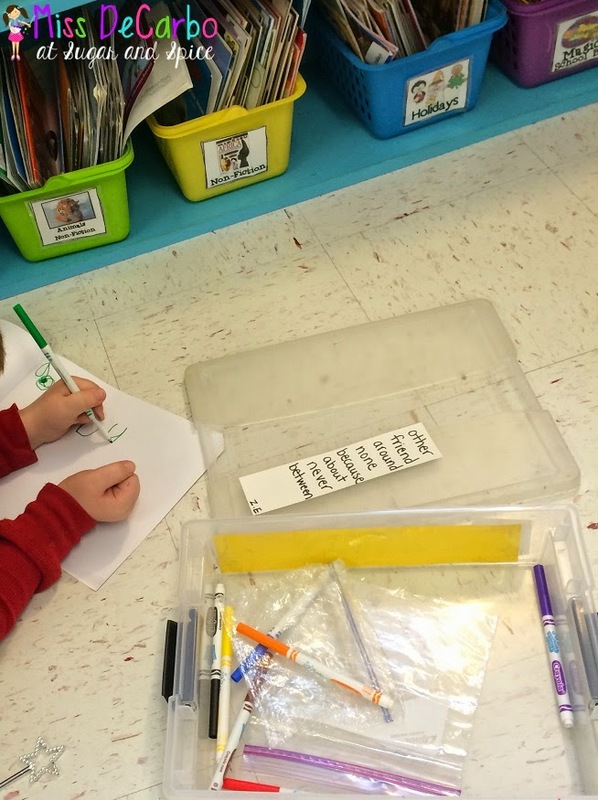 Do you have all of the sight words posted somewhere at the start of the year? Wow!! I am also a first grade teacher and it is my struggle to see my low ones master words that are just not at their levels! 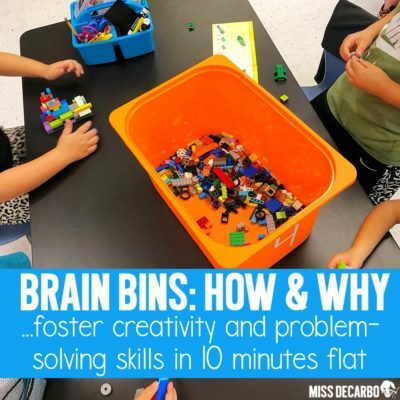 This is an amazing idea and I can't wait to use it next year!!! It sure does make more sense!! ? Thank you! To see my low ones "trying" to master.. Sorry forgot a word ? I'm a little confused on how they get new words after their test. Do they pick their own? But how do they know which to pick? Hi Christina! 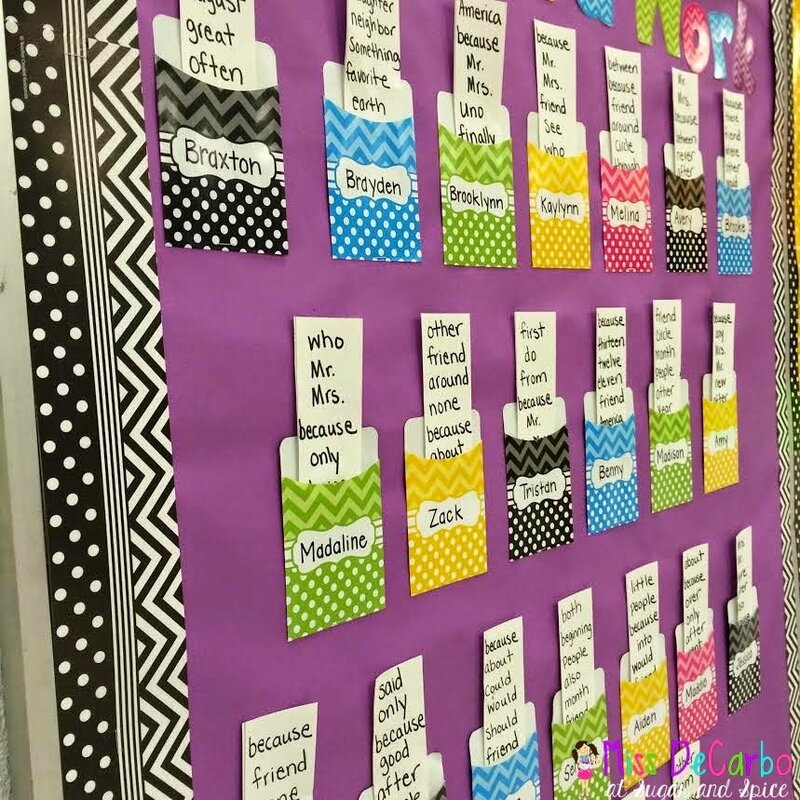 I know that you are really busy, but I love this idea and would love to ask you a few more questions so that I can implement it into my classroom this year! Do you mind if I email you? Oh my goodness I think I'm in love with this idea. I teach in dual immersion and I'm curious to see if any of my kids will choose some words from Spanish class to master for their "anywhere in the world" words. 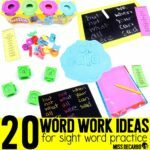 I absolutely love this idea of differentiated spelling with sight words and word work. Could you clarify a few things for me? 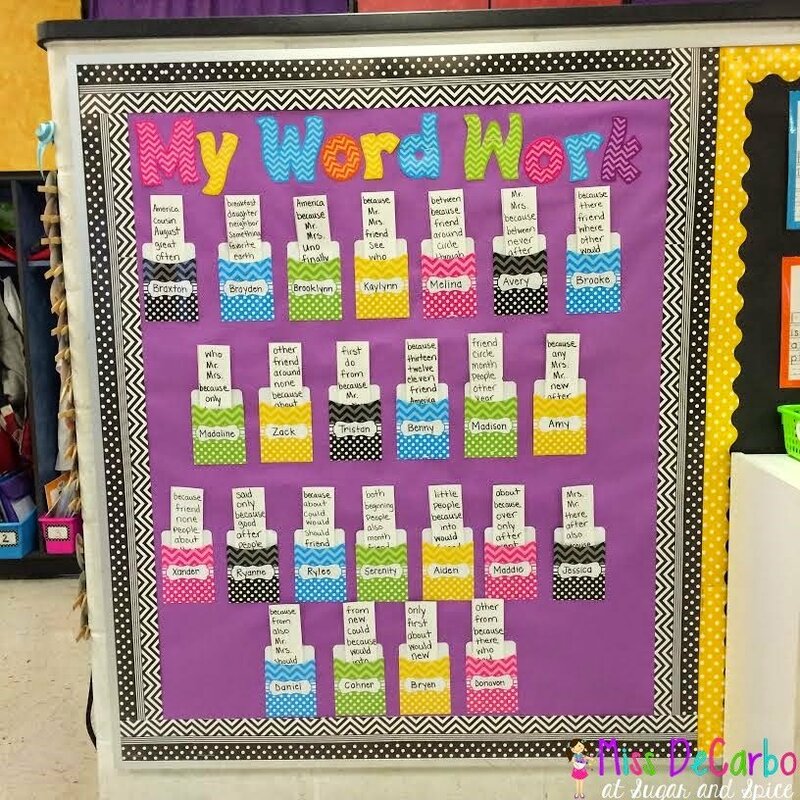 Do you have al the word wall words up at the beginning of the year and that is where the students choose the words? Your post mentions choosing from the word wall. I put up the words at the end of the week after we have studied them. Do you give a spelling test on the word lists and what does that assessment/time look like? Thanks for such an awesome post. Hello! I put all the sight words for each quarter up at one time. 🙂 That is what they chose their words from. 🙂 Hope this helps! Hello ! I am a kindergarten teacher. 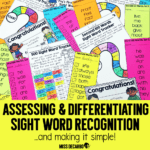 I really liked the idea of differentiated word wall of sight words .I hope this will support my students who is still not thorough with the sight words .Thanks alot for a wonderful idea.